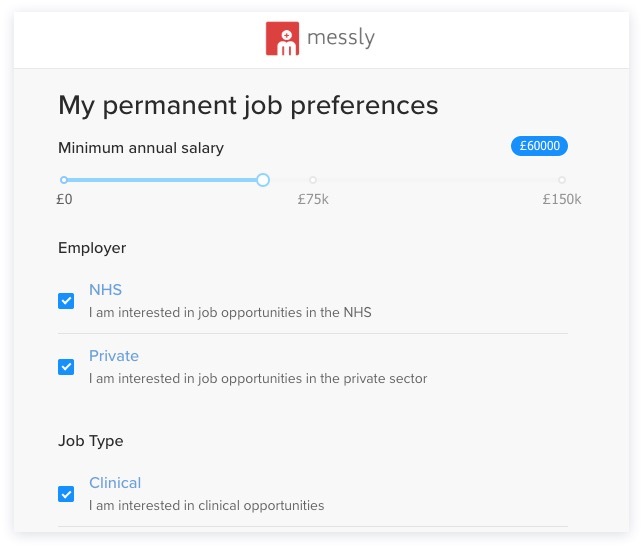 Messly Jobs is an innovative platform for doctors to find interesting clinical opportunities in the NHS. Why have you created Messly Jobs? Messly jobs is built in response to feedback from trainees who have had poor experiences using NHS Jobs to find relevant and frustration from departments who have struggled to find good candidates for roles. How are you different from NHS Jobs? We provide a much a superb user experience to engage doctors and reduce the friction to finding a role. A jobs board for doctors-only with accurate and structured information on job roles. How do you make money from Messly Jobs? Messly Jobs is currently free to post roles for NHS Trusts. We will be introducing premium features in future including premium listings, bespoke recruitment and candidate searching. We’ll keep you posted on these. How do I post my role on Messly Jobs? With your permission, we will copy over details from your NHS Jobs post and post it on Messly Jobs. We may need you to complete a short questionnaire to fill in any blanks, to make sure you have the best possible job ad.